Michael McFadyen's Scuba Diving - TSS Hall Caine The TSS Hall Caine was built in 1912 at Coopernook on the Manning River on the Mid North Coast of New South Wales. The new timber ship was almost 40 metres long and displaced 214 tons. Built by D. Sullivan, the Hall Caine was a coal powered steamship with twin engines. It had a single boiler. It is not known why the ship was named after Sir Thomas, although he did write some poems about the sea. 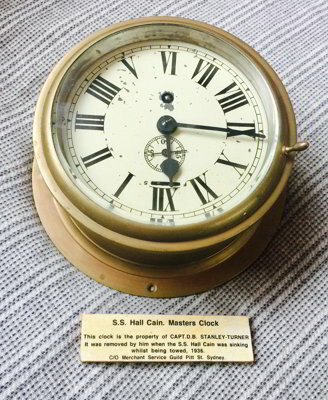 The TSS Hall Caine was owned by William Holyman and Sons of Launceston, Tasmania. The first mention I can find of the ship in a newspaper is that on 31 December 1917 the Hall Caine arrived in Brisbane from Sydney. On Tuesday 15 January 1918 was to sail from Melbourne for Sydney but it appears she might not have left till 17 January. On 24 January 1918 she left Sydney for Newcastle. On 12 June 1918 she left Sydney for Brisbane. This seems to imply that the ship was on a regular route from Melbourne to Brisbane via Sydney and other ports. On Monday 7 October 1918 the Hall Caine was to leave Melbourne, probably for King Island. However, another report I found said it left Hobsons Bay (this is the bay immediately next to the city of Melbourne) bound for Duck River, Smithton in Tasmania (to the west of Stanley) at 5 pm on Tuesday 8 October 1918. It now appears that it was on a regular run as the next week it did the same voyage and Friday 18 October 1918. On 27 October 1918 she returned to Melbourne. For the next 11 years or so the Hall Caine plied this route with apparently no trouble. At 9:00 am on Friday 26 October 1928 the Hall Caine passed Wilsons Promontory in Victoria. On Wednesday 17 September 1929 the Hall Caine was removed from service and was kept in Melbourne and laid up. At some time it appears she was moved to Launceston in Tasmania where she was kept laid up. Here she was to stay for the next three and a half years. In the afternoon of 15 July 1933, the Hall Caine left Low Head for Sydney. Low Head is the entrance to the Tamar River which runs up to Launceston. As far as I can see, this was the first voyage to Sydney since 1918. The reason for this trip became apparent on Tuesday 18 July 1933 when it was announced the the ship had been sold to Cam and Sons of Sydney. 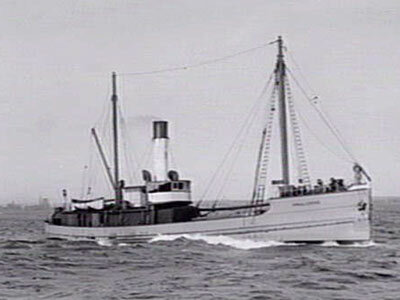 Cam and Sons were operators of a large number of fishing trawlers, including the SS Olive Cam and SS Goolgwai that were later to sink near Eden and Malabar respectively. The Hall Caine was to be used as a store ship for the trawlers. In October 1933 the Hall Caine had engine trouble on a trip from Newcastle to Sydney. The trawler SS Olive Cam came to her rescue. On 6 November 1933 she left Sydney for "North". On Sunday 23 December 1934, a violent storm hit Sydney. On Sydney Harbour, three small boats were capsized. The occupents were rescued by the Water Police, a Manly ferry and the Hall Caine. On 4 February 1936, the Hall Caine was forced to turn back to Sydney after losing a tap from one of her seacocks. On Wednesday 17 March 1937, the Sydney Morning Herald reported heavy seas were pounding the NSW coast. Extremely heavy rain was falling right along the coast, with floods around Coffs Harbour and the Audley Weir in Royal National Park, southern Sydney, closed due to flooding. It was reported that many places had over 10 inches (250 mm) of rain in the preceding days. At 10:55 am the Hall Caine left Sydney Harbour bound for Lake Macquarie, just south of Newcastle. It was carrying a cargo that included tea and drums of benzene. Its skipper was Captain Donald B. Stanley-Turner (given as Captain Turner in later press reports) and there were a total of nine on board. 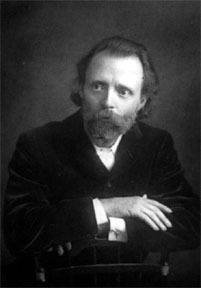 By 4:30 pm the Hall Caine had only made it to Cape Three Points. This is the most easterly point of the mouth of Broken Bay (Hawkesbury River) and just south of Avoca. At this time it had big problems. It started taking on water and at this time, the Captain decided to send up distress signals (flags, flares or rockets?). 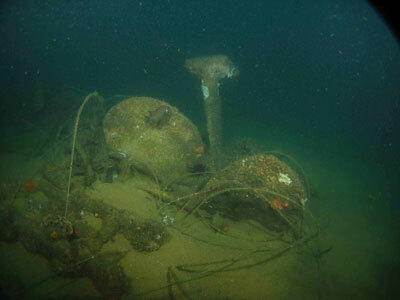 The SS Indant was heading south from Lake Macquarie to Sydney with Able Seaman Eric Woodger at the wheel when he spotted the signals and came over to investigate. The Hall Caine's boiler fire had been put out by water and it was heavy at the stern. It was also listing to starboard. There was a heavy swell running, but apparently it was not too bad. Until the Idant turned up, Captain Turner was about to order the lifeboat to be launched. An interesting fact is that a few years earlier, Captain Turner had been employed on the Idant! Captain G. Manson, the owner and skipper of the Idant (I have also read that the Indant was owned by Cam and Sons), decided to take the Hall Caine in tow and attempt to make Broken Bay where he hoped to beach her. All the Hall Caine crew except for the Engineer were taken off the ship and onto the Idant. Captain Turner and an Able Seaman later returned. It seems that Turner then removed the ship's clock and perhaps some other things. Once underway, the going was very slow. In the next 90 minutes the pair of ships only made six miles (9.6 kilometres) towards Broken Bay. By this time the Hall Caine was in a hopeless condition and about to sink. The list to starboard had increased dramatically. Captain Turner and his two crew took to the lifeboat and rejoined the Idant. At Palm Beach, a few kilometres away, Miss Jessie Grant and Miss Marie Kinnard were on holidays. They noticed the two ships and using a pair of field glasses, they watched the drama unfold. At 6:50 pm, the Hall Caine rolled over and sank, witnessed by not only the crews of the Hall Caine and Idant, but Misses Grant and Kinnard. They appear to have reported the sinking to the authorities as the Sydney Morning Herald later interviewed them. A Court of Marine Inquiry was held with Justice Curlewis presiding. After Peter Baikie, a shipwright's surveyor, had given evidence regarding the ship, His Honour remarked "With a new hull, new engines and new masts, she would become a perfectly good ship"! Captain Turner stated that he had become used to seeing a certain amount of water in the engine room. He also said that about midday the men told him that while they were in the mess room they heard a noise which he thought could have been fastening in the hold going. When the evidence had been concluded, on Monday 3 May 1933 Judge Curlewis handed down his decision. He remarked that he had reached the conclusion that the Hall Caine was a coffin ship and that it should never have gone to sea. ''We are inquiring into the reason why the steamer went down in a calm sea," continued Judge Curlewis. "Not the slightest blame attaches to the master, the mate, or the engineer. I think they all did very well indeed We have had evidence that she was a thorough patchwork job". Judge Curlewis also said "The reasons that the ship sank were that the hull was rotten, the hand pump was in bad order, and not properly fitted with a strainer, and other pumps could not be worked because the boilers could not supply sufficient steam". 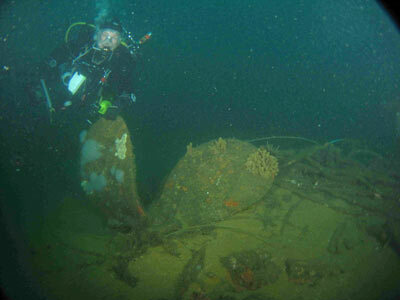 The wreck was apparently known to fishers but was not revealed to scuba divers until 1976 when a fisher told Les Graham, owner of Terrigal Diving Centre. The fisher told Les that he pulled the bell to the surface one day when fishing (a bit hard to see how a fisher could catch the bell!). 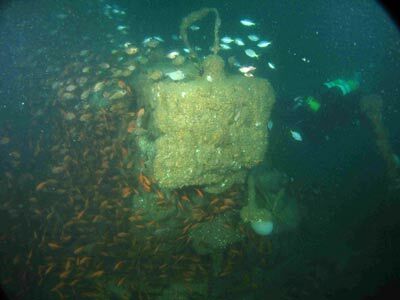 Corrosion had eaten away part of the name and the fisher called it the "alcaine" wreck. When Les later asked him what became of the bell, he said it lay around in his garage for a while and then he took it to the tip! When Les dived on the wreck the same year, he said that the timber had already rotted away. However, all the engine room gauges were still in place in front of the engines and on either side of the boiler there were pressure gauges galore. They all sat on the ends of copper piping and brass fittings, swaying in the surge. Because of the lack of actually seeing the bell, it was a while before the name of the wreck was known/worked out. 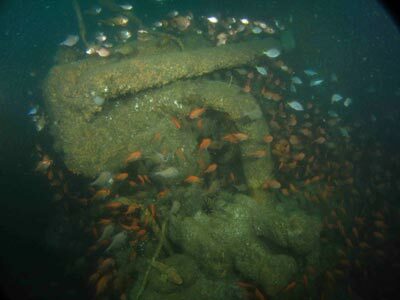 Apparently the wreck became known to quite a number of divers on the Central Coast but for about five years, not one piece of the brass or one gauge was removed from the wreck. 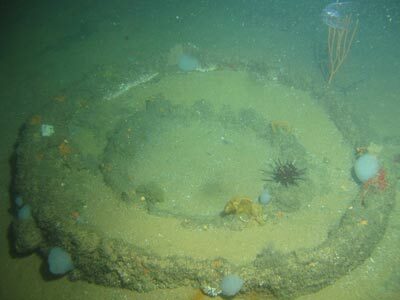 Then, the wreck was plundered and every gauge and "stealable" item was removed as was a great deal of the copper and brass. Today the TSS Hall Caine lies in 45 metres of water off Bouddi National Park on the Central Coast. A GPS Reading of 33º 32' 49'S 151º 25' 20"E will put you near the wreck. There is normally a buoy on the wreck to make it easier to find. For more details, see GPS Page. 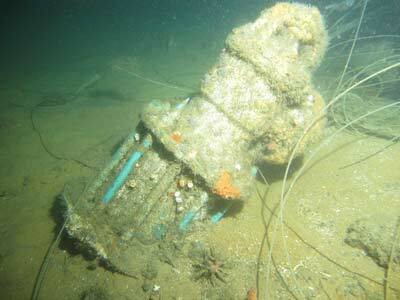 Not sure what this is - note the commercial fishing wire Perhaps the funnel top?